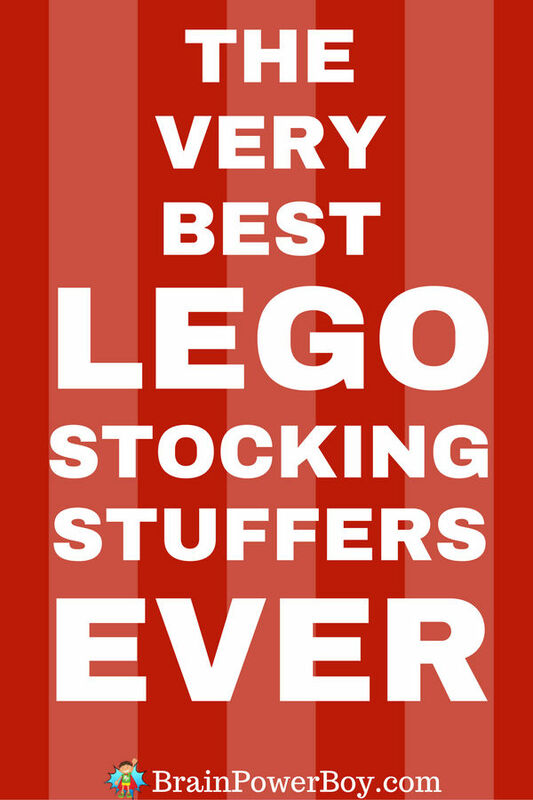 The Very Best LEGO Stocking Stuffer Ideas Ever! You have to see it. The Very Best LEGO Stocking Stuffer Ideas Ever! On the hunt for LEGO Stocking Stuffer Ideas? We have them. Your LEGO fans are going to love their stockings this year! It is getting to be that time of year and that means you need to find the perfect LEGO gift to slip into a stocking. I would suggest not waiting too long because unlike some gifts, LEGO does sell out at the holidays. 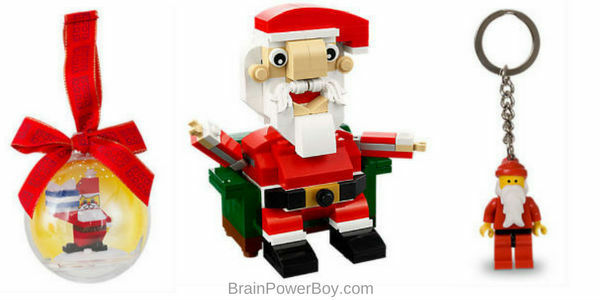 We have other LEGO gift guides in the gift ideas for boys section of the site. We have an awesome selection of LEGO stocking stuffers for every fan on your list. From kids to AFOL (adult fans of LEGO) this list is going to help you find the perfect gifts to give this holiday season. We have plenty of brick goodness listed but we have also added some unique ideas for those who would like to give something other than bricks. I promise you, there is something for every LEGO fanatic. See all of the Small LEGO sets that are available now. This LEGO Creator Sea Plane set constantly gets great reviews. It is a neat 3-in-1 set that lets you make a plane, a boat and a catamaran. You can never go wrong with LEGO Star Wars and this AT-AT set proves me right. It includes flick missiles and a minifig. The LEGO City Prison Island Starter Set is a good value. With 4 minifigs included the price can’t be beat. You also get a pier, a watercraft, a police buggy and plenty of accessories. Another 3-in-1 choice is the Construction Vehicles set. Build a backloader, a dump truck and a telehandler. I have enjoyed putting together a selection of specialty parts from LEGO Pick-a-Brick. You can order a bunch of specialty pieces to group together for a neat bundle. My favorite thing to do is to get minifigure parts! Grab a bunch of heads, tops and leg pieces and make up a mix and match minifigure set for them to build their own minifigs. Everyone who received them was really excited and happy with the gift. LEGO Stocking Stuffer Notebooks, Pens etc. Did you know that you can get LEGO school and office supplies? It’s true! Here is the red version of the Moleskine notebook which has a LEGO minifig on the cover and includes LEGO stickers. I like the LEGO brick embedded in the cover so you can make a little LEGO display or stick a minifig on it when the notebook is not in use.The size is the same as above. Who knew?! I found a buildable LEGO ruler that I think is mighty cool. This would be neat to use anywhere and I can see this as a fun learning tool for kids as well. These seriously neat pens come in a set of 9. They are gel pens – which I really like using – and since they have a brick built-in you can either attach the pen set together or add a minifig of your choice to the pen. If you or your giftee are more into pencils, give these LEGO pencils with brick toppers a try. Like the pens, you can attach other bricks or minifigs to the toppers. Roll up a t-shirt and it is just the right size to slip into a stocking. See all LEGO Adult T-shirts so you can pick the perfect one for your LEGO fan. My favorite shirt of the bunch is this LEGO blueprint shirt in black. LEGO AFOLs really like this one a lot too. I think this is another good choice. It is grey with a large brick and the word “creative” on it. Great for someone who likes to branch out from building sets. Or any creative on your LEGO stocking stuffer gift list. See all LEGO Children’s T-shirts so you can pick the perfect one for your LEGO fan. This is just perfect lol. Please click to see it as I can’t get the image to come up for some reason. A LEGO Christmas T-Shirt to go into their stocking. This one is from The LEGO Movie. For LEGO city construction fans, this is a must have t-shirt: Build with LEGO. Let us get to the Santa goodness, shall we? The big guy in the red suit is a perfect fit for anyone’s stocking. We found a really neat LEGO Santa building set for you to give (or get for yourself!) Center picture shown below. So cute! Here is a LEGO Santa Keychain. The santa is a minifigure and this one is really nice. Because they are bendy you can slide a LEGO Mouse Pad into a sock with no trouble what-so-ever. There is a wide variety of LEGO Watches. At the time this was written it included DC Superheroes, Chima, Star Wars, The LEGO Movie, Classic Minifig, Ninjago, LEGO City and more. There is also a very slick black LEGO watch for teens and older fans. It actually comes in many different styles and colors. See the details through the link. A LEGO Wallet would be a good choice for kids who are learning about money or adults who just like cool stuff like this. If you have someone who needs a mini flashlight or a keychain this is just right. It is both! LEGO Star Wars R2D2 Key Light. 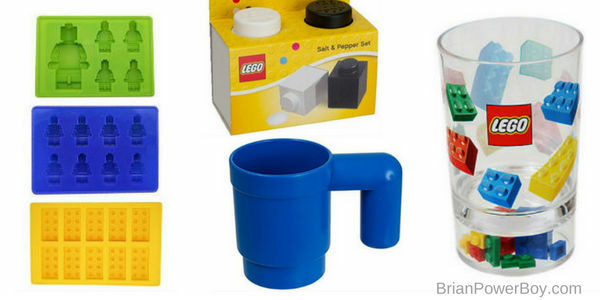 Bring LEGO into the kitchen with these fun novelty items. 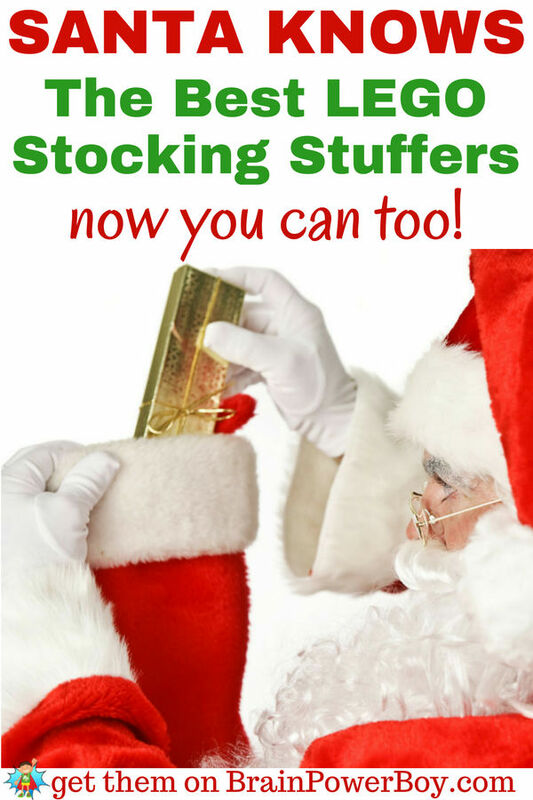 All of them slip right into a stocking and will be used a lot. Both kids and adults love these! A mug goes lifesize! Usually reserved for minifigs this replica of a LEGO mug is just perfect. While non-fans may wonder at its unusual look, all of those who are into bricks will know exactly what it is. Useable! Dishwasher and microwave safe too. Available in blue and red. Everyone will get a kick out of these scaled up 1 stud LEGO salt and pepper shakers. Minifigure and brick molds which you can use for ice cubes or even chocolate are something everyone should have in their kitchen, right? Well, I certainly think so! The set I chose has three trays in all . Two different sized minifig trays and a tray of bricks. Hello! I see a LEGO Tumbler with bricks in the bottom 🙂 How fun! I’m sure you were able to find plenty of LEGO stocking stuffers that are going to be just perfect for your LEGO fan. You can buy a few items or do a whole stocking in LEGO goodness!